Sentences are nothing like eggs. Only eggs are good scrambled. 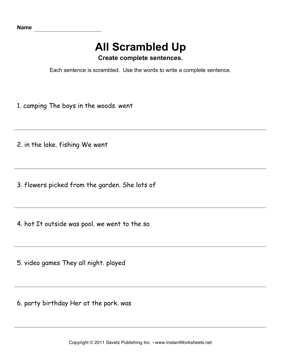 On this worksheet, students must rewrite the scrambled words so they form a complete sentence.